(SAVANNAH, GA) Park Place Outreach – Youth Emergency Shelter is pleased to announce that Elijah Scott and Grace Downs have joined the Street Outreach Program as new Street Team members. In their new role, Scott and Downs will be mentoring resident adolescents and providing counseling, clothing and personal care items to kids that are in need and might not come in to the shelter. The Street Outreach program has been funded on and off since 1997. Park Place Outreach recently received a $121,654 per year grant for three years to re-fund the program, which serves teens and young adults up to age 21 through counseling and a drop-in center. Scott graduated from Savannah Arts Academy in 2013. He is currently attending Savannah State University focusing in English and Language Arts. Scott previously volunteered at the Davenport House in Savannah. He lives in Thunderbolt, and enjoys music and writing in his free time. Downs graduated from Savannah Country Day School in 2014. She was a leader at SCDS’ diversity club and SHARE (Students Hearing All with Respect and Equality). Downs previously volunteered at St. Joseph’s/Candler for three years, Relay for Life, and various community service outings with Girls Scouts. She enjoys musical theater and being either in the cast or crew of productions. A hobby she is intending on majoring in at college. “This job relates to many of my interests in terms of diversity and reaching out to those in need. I hope to bring my positivity and new ideas to better influence the program here,” said Downs. 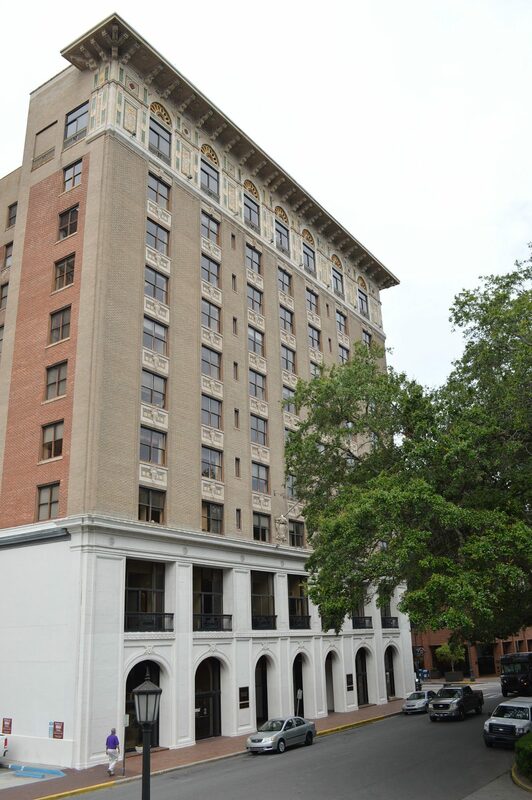 Park Place Outreach Youth Emergency Shelter, located at 514 E. Henry St., provides support for troubled children and teens in Savannah and the surrounding area. Opened in 1984, the shelter, open 24 hours a day, offers youth, between the ages of 11 and 17, a safe and loving environment. Homeless, abused or runaway teenagers can self-admit themselves into this shelter. Whenever possible, the organization’s goal is to keep kids off the street and reunify families. Park Place Outreach Youth Emergency Shelter is an equal opportunity provider and employer. With the generous support of local organizations and individuals, the Park Place Outreach Shelter has helped over 6,000 individuals. For more information, please visit http://parkplaceyes.org or find Park Place Outreach – Youth Emergency Shelter on Facebook. 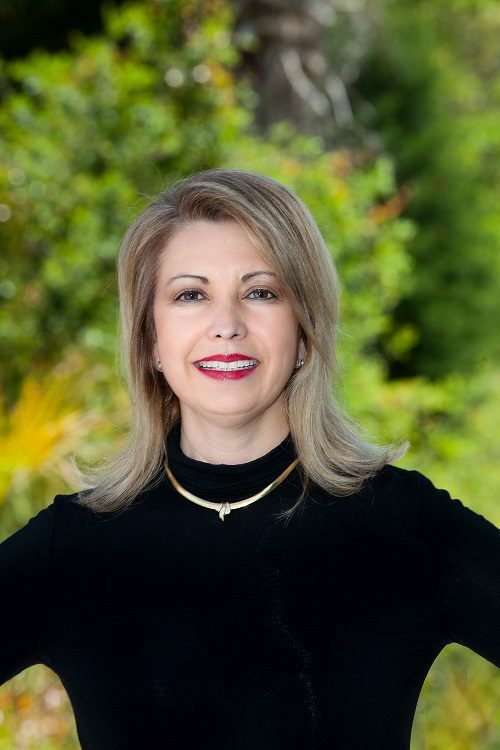 (SAVANNAH, Ga.) – June 25, 2014 – Tina Zipperer joins Celia Dunn Sotheby’s International Realty as a sales agent. She is licensed in both Georgia and South Carolina. Previously, Tina worked with a local home builder, where she personally sold over $25 million in custom homes within three years. In addition, she oversaw the advertising and marketing campaign for the builder and eventually moved into project management. Prior to that, she worked as executive director of a local retirement community. Tina has years of experience in guiding people to their perfect destination and a place to call home. Having lived on Tybee, Wilmington Island, and now Skidaway Island, Tina is very familiar with all of Savannah, especially the islands. This Texas transplant has called Savannah home for 22 years. Prior to moving here she lived in Atlanta, Houston, and Dallas, where she attended The Fashion and Art Institute. She also attended Texas Woman’s University in Denton, Texas. She is married to a fourth-generation Savannahian and her daughter, Ashley Rauls, is a college student and a singer/songwriter. Tina enjoys traveling with her family whether it’s hiking in the Carolina Mountains or skiing out west. At home she enjoys cooking and gardening. Tina is a board member of The Friends of Coastal Georgia Botanical Gardens, a member of The Landings Garden Club, a sustaining member of The Junior League of Savannah, and supports numerous local charities. Known for its tradition of integrity, Celia Dunn Sotheby’s International Realty specializes in residential properties in Savannah and the Low Country of Georgia and South Carolina. Founded in 1981, Celia Dunn Sotheby’s International Realty is noted for outstanding service to its clients, thorough knowledge of Savannah and the South Carolina Low Country, and excellent staff, in addition to having one of the region’s top property management departments. The owners are natives of Savannah who have more than 60 years’ combined experience in real estate. The offices are located at 9, 13, and 17 West Charlton Street on Madison Square in Savannah and 52 Calhoun St. in Bluffton, S.C.
For more information, call Celia Dunn Sotheby’s International Realty at (912) 234-3323 or visit www.celiadunnsir.com . To contact the Bluffton office, call (843) 836-3900. (SAVANNAH, GA) The Lowcountry Down Syndrome Society is hosting their annual Camp Buddy summer camp in Chatham County. This educational and therapeutic camp runs for two weeks starting Monday, July 14 and ends Friday, July 25 at Coastal Middle School. Special education, occupational, physical and speech therapists have designed a customized curriculum to help children retain information they learned during the previous school year. Proceeds from this camp will go to the Lowcountry Down Syndrome Society. For more information, visit www.ldssga.org. (SAVANNAH, GA) How to Protect Your Skin From the Sun’s Harmful Rays. (SAVANNAH, GA) Create unique user codes for your employees and visitors to know who’s coming and going in your office/home, and who armed or disarmed the system with Wright Security Systems. For more information, contact Noel Wright at (912) 354-2692. (SAVANNAH, GA) The Friends of Animals of the Coastal Empire, Inc, (FOA) announces its 16th Annual Auction, "Purrr-a-Vida, An Evening in Costa Rica" on Saturday, August 23 at Savannah Station, located at 601 Cohen Street, from 7:00 p.m. to 11:00 p.m. $45.00 per person includes food stations, auction and bar tickets. This year’s grand auction item is a week’s stay in a villa in Costa Rica. Proceeds from this event will benefit these local animal welfare groups: Bryan Animal Caregivers, PAWS of Effingham, Islands Feral Cat Project, Save-a-Life Animal Welfare, Second Chance Animal Rescue and the Humane Society of Greater Savannah. For more information, contact Chris Comas at 912.661.1758 or visit www.friendsofanimalscoastalga.org. (SAVANNAH,GA) The American Academy of Dermatology discovered that one in five Americans will be diagnosed with skin cancer at some point in their lifetime. If Americans take precautions to prevent skin cancer, then we can prevent one person from dying every hour from melanoma. Melanoma is the deadliest and most aggressive form of skin cancer. Using sunscreen is the most important precaution you can take to avoid melanoma. To reduce your chances of getting melanoma, apply sunscreen 30 minutes before you go to the beach or go swimming. Sunscreen should be used if you are out in the sun for more than 15 to 20 minutes because the sun starts damaging your skin within 15 minutes. A generous amount of sunscreen should be applied to your skin because studies show that people put on only a quarter of the amount of sunscreen they are supposed to use. This happens because most people are unaware that they should use a palm full of sunscreen on each area of their skin. If you use spray sunscreen, spray each area of your skin twice. Sunscreen should be reapplied each time you get out of the water. If you are reapplying sunscreen, I recommend letting the sunscreen dry for 10 to 15 minutes before getting back into the water. When you shop for sunscreens, look for water resistant sunscreen that is SPF 15, 30 or 50. The most effective sunscreen is water resistant for up to 40 minutes or 80 minutes from the time you get into the water. FDA regulations require manufactures to label whether or not sunscreen is water resistant for 80 minutes, 40 minutes or not at all. I recommend using sunscreen that is water resistant for up to 80 minutes. I also recommend looking at the ingredients in sunscreen to make sure it protects against both types of rays that damage the skin, UVA rays and UVB rays. To protect your skin from the sun’s harmful rays, use sunscreen that contains zinc and titanium because these ingredients are gentle on sensitive skin. Both Vanicream and Elta MD are sunscreens that contain zinc and titanium. Vanicream and Elta MD are ideal for people who are allergic to a lot of different ingredients because both brands do not contain a lot of added chemicals. Vanicream and Elta MD are ideal for babies and children. However, sunscreen should not be applied to babies under six months old because the chemicals in sunscreen are too harsh for their skin. Anyone older than six months old should use sunscreen and wear protective clothing in the sun to prevent skin cancer. Wearing protective clothing is the second most important precaution you can take to protect your skin from the sun’s harmful rays. When you purchase protective clothing look for clothing that contains SPF fibers. Regular t-shirts contain SPF fibers that are equivalent to SPF 15 sunscreen. However, t-shirts do not contain enough SPF fibers to protect your skin from the sun’s harmful rays. I recommend buying SunGuard and applying sunscreen 30 minutes before your skin is exposed to the sun. SunGuard is a $2 packet of white powder that sun-proofs your clothes when it is added to the washing machine with your laundry. SunGuard makes wearing regular cotton clothes equivalent to wearing SPF 30 sunscreen. Using SunGuard and staying out of the sun during the hottest time of day, 10 a.m. and 4 p.m., is the third most important thing you can do to protect your skin from the sun. If you go out during the hottest time of day, reapply sunscreen every 60 to 90 minutes depending on the SPF of your sunscreen. If you do not use sunscreen, then your skin could suffer from sun damage or worse, skin cancer. Sun damage makes people look older than they actually are. To avoid sun damage, stay out of the sun during the hottest time of day, wear sunscreen, reapply sunscreen, and wear protective clothing in the sun. Listening to these tips will help you maintain a healthy complexion all year long. 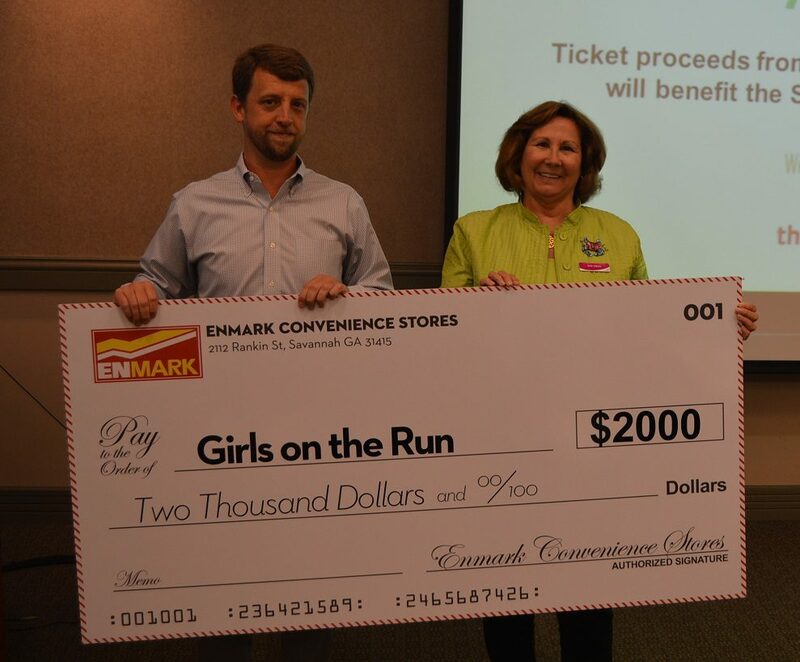 (SAVANNAH, GA) During the month of May, Enmark Stations, Inc. raised $76,097 by selling paper balloon icons in all 59 of its retail stores in Georgia, South Carolina and North Carolina, and holding two “Full-Service Fridays” locally in Savannah, GA. The funds raised from these efforts were graciously donated to The Leukemia & Lymphoma Society’s 2014 Light The Night Walk. The company exceeded its aggressive goal to raise $75,000 in support of LLS’s mission to cure blood cancer and help patients and their families. This is a $10,000 increase over the $65,000 they raised in 2013. The paper balloon icons could be purchased for $1 and were displayed on surfaces inside the Enmark stations. In addition to the paper icons sales, Enmark Stations held two Full-Service Fridays on May 9 and May 23 at popular Savannah stations. Customers were invited to pull into the Enmark Store, where members of the Enmark management team pumped gas, wiped windows and handed out coupons for car washes for donations. In the beginning of this year, Enmark was honored with the National Partner Award from The Leukemia & Lymphoma Society (LLS) for their outstanding fundraising support in the 2013 Light The Night Walk campaign, when Enmark raised an incredible $65,648. Savannah’s 2014 Light The Night Walk was held Friday, October 17 in Forsyth Park. During the event, walkers carried illuminated balloon along the walk route. Each balloon signified how the carrier was affected by blood cancer. Cancer patients and survivors carried white balloons as “lights of hope,” supporters carried red balloons and those walking in remembrance of someone carried gold balloons. The Georgia Chapter serves patients with a variety of programs including the Patti Robinson Kaufmann First Connection Program, the Trish Greene Back to School program for children with cancer as well as financial assistance programs which last year provided over $1.45 million to patients statewide. Currently, the Georgia Chapter funds $2.75 million towards research grants in multi-year agreements with Emory Winship Cancer Institute. There were approximately 4,070 new diagnoses for blood cancer in Georgia in 2011. For more information on the Georgia chapter of LLS, please call 800-399-7312 or 404-720-7900 or visit www.lls.org/ga. Founded as Interstate Stations in 1963 by Robert Demere, Enmark Stations, Inc. is a family-run business committed to offering its customers top-notch service and superior products. Today the Savannah-based company, which will celebrate its 50-year anniversary in 2013, operates 59 stores in Georgia, South Carolina and North Carolina that offer high quality and competitively priced gasoline, food and beverages, lottery services and more. Enmark’s gasoline is filtered through a trademarked Double Filtered System, resulting in gasoline and diesel that is clean and 100-percent water-free. Enmark customers can save up to $.10 per gallon by using an Enmark Cash Card, a reloadable stored-value card that can be used directly at the pump. For more information on Enmark Stations, Inc., please call 912-236-1331 or visit www.enmarkenjoy.com. (RICHMOND HILL, GA) The Bryan County Bark Park’s has announced the rescheduling of June’s BYOD (Bring Your Own Dog) Yappy Hour Hawaiian fancy dress dog competition to Wednesday, June 25. Southern Eagle will be doing a beer tasting for attendees and as well as fresh water, dogs will be able to enjoy special doggie smoothies in tropical honey and peanut butter blueberry flavors for $3 for small and $4 for large cups. There will be free giveaways from Fish Tales, Southern Eagle and the Bryan County Bark Park Association as well as an opportunity to enter your dog for the best Hawaiian costume competition. (SAVANNAH, GA) The Lowcountry Down Syndrome Society is hosting their annual Camp Buddy summer camp in Chatham County. This educational and therapeutic camp runs for two weeks starting Monday, July 14 and ends Friday, July 25 at Marshpoint Elementary School. Special education, occupational, physical and speech therapists have designed a customized curriculum to help children retain information they learned during the previous school year. Proceeds from this camp will go to the Lowcountry Down Syndrome Society. For more information, visit www.ldssga.org. (SAVANNAH, GA) SCORE, Savannah presents Top Ten Tips on "Employer Stress– Defining, Identifying and Treating." The workshop will be in the SCORE conference room, 111 E. Liberty St, Savannah from 11:30 to 1:00, Wednesday, June 25, 2014. The business expert is Jessica Bush, Senior District Manager, Automatic Data Processing (ADP). RSVP by calling the SCORE office at (912)-652-4335. (SAVANNAH, GA) Save money this summer by automated thermostat control with Wright Security Systems. Set your house to save energy when you leave, adapt your thermostat schedule to your actual activity pattern, and remotely control its settings from your phone with real time alerts. For more information, contact Noel Wright at (912) 354-2692.